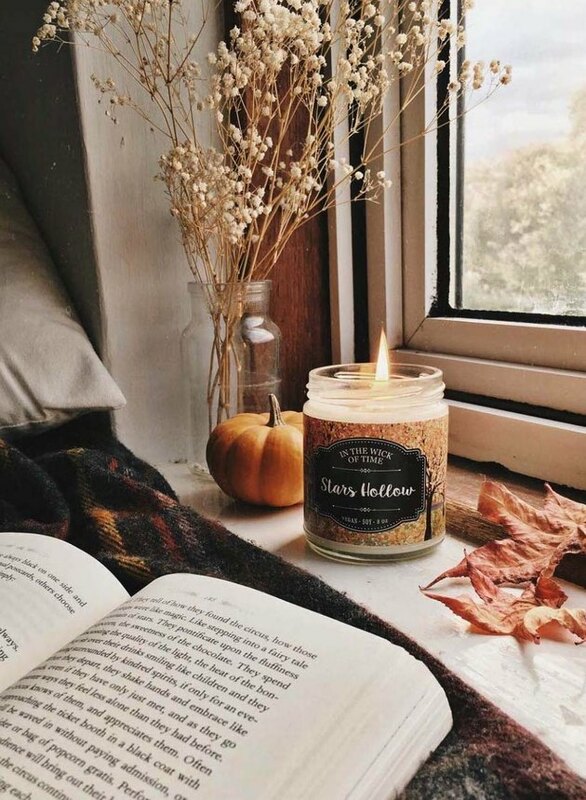 Autumn is all about getting cozy (and, of course, pumpkin spice everything). So, why should your sleeping quarters be any different? Our point exactly. 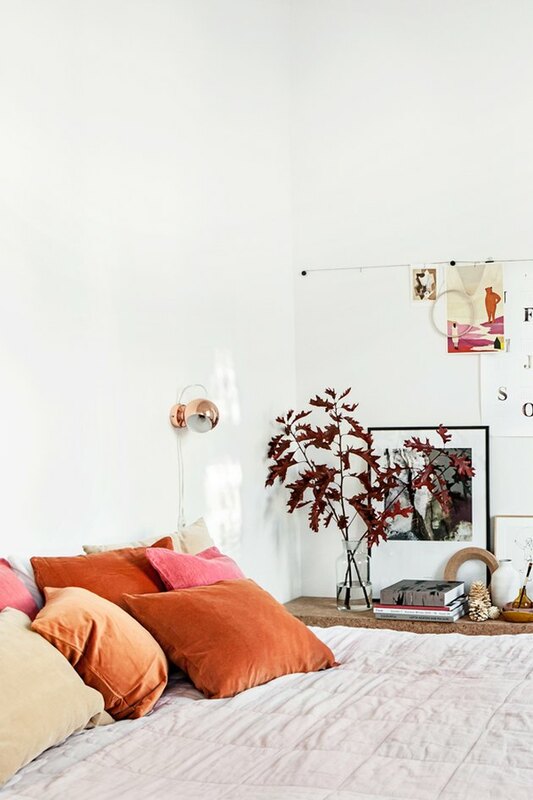 Thankfully, there are a few small tweaks you can make to infuse the harvest season into your bedroom. To help in your decorating pursuits, we've rounded up 12 dreamy ideas to inspire your fall redux. 1. Say “yes” to plaid. 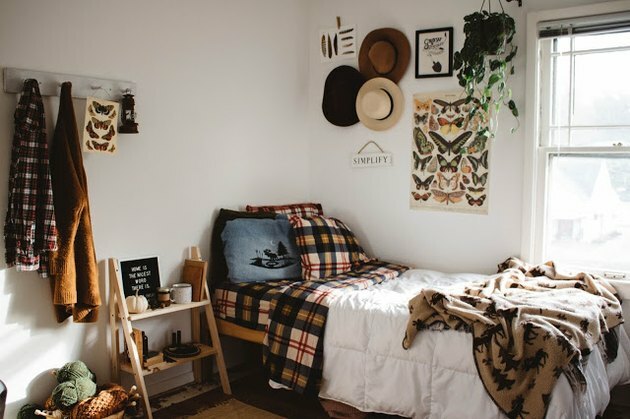 Comforting, cozy, and a bit rustic — plaid screams fall. 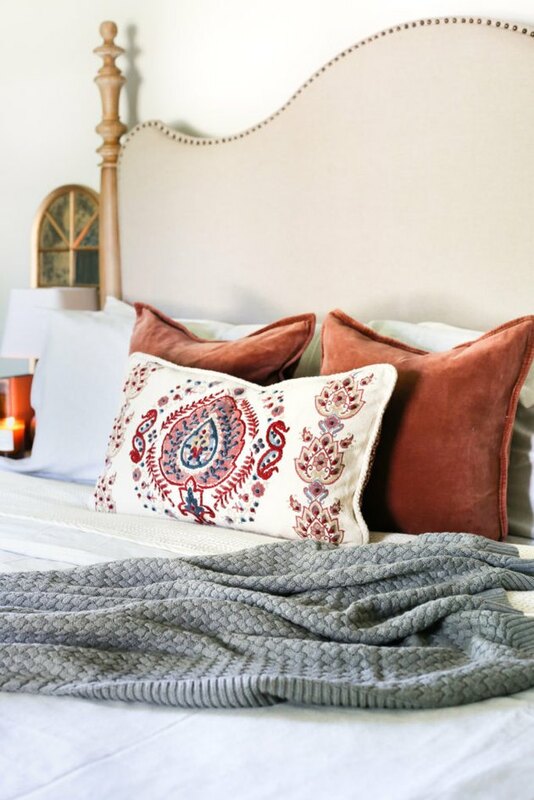 You can incorporate this classic pattern in a myriad of ways, from area rugs and curtains to pillows and bedding like blogger and shop owner Kaetlynn Anne did in her bedroom. 2. Buy a scented candle. Scent is a powerful tool. Bring the aromas of autumn into your abode with a yummy candle, from pumpkin pie and spicy chai to earthy cedar and fresh-picked apple. 3. Throw down an area rug. Nothing is worse than waking up in the middle of the night, only to walk on a cold floor. Keep your tootsies warm and toasty by throwing down a cozy area rug. 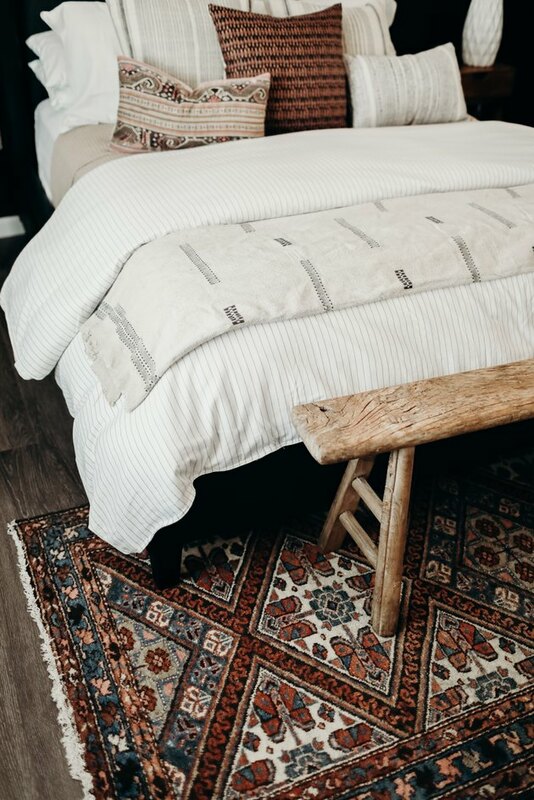 Select something with a fall-inspired palette like this option in Brittany from The Vintage Rug Shop's bedroom. 4. Decorate with harvest hues. 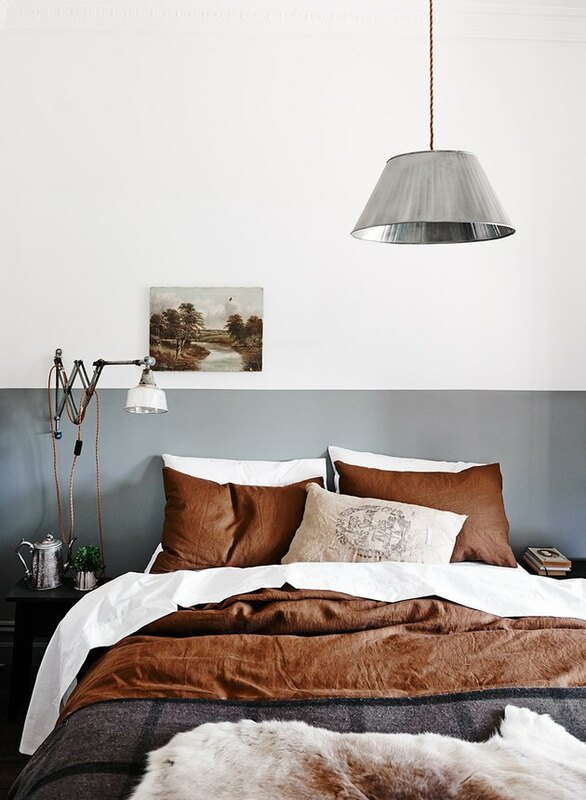 We love the combination of harvest hues in this bedroom at The Estate Trentham. The key is balance. White and gray walls provide the perfect backdrop for seasonal touches to take center stage. 5. Integrate a chunky blanket. Chunky knits are the epitome of cozy, whether a sweater or an oversize throw. 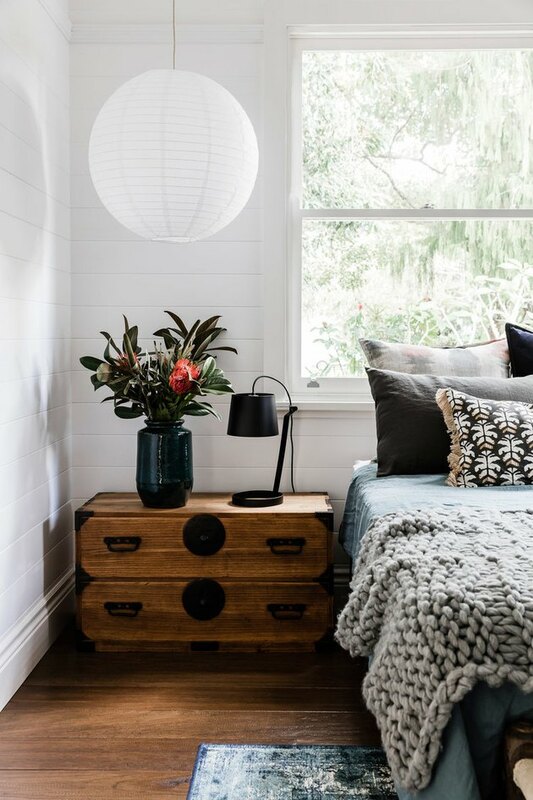 The latter is perfect for transitioning your bed from fall to winter like the woven gray blanket in this bedroom designed by Louise Walsh. 6. Or a faux fur pillow. Few things are more inviting or luxurious than faux fur. But don't take our word for it. Give this DIY pillow by Brittni over at Paper & Stitch a try. 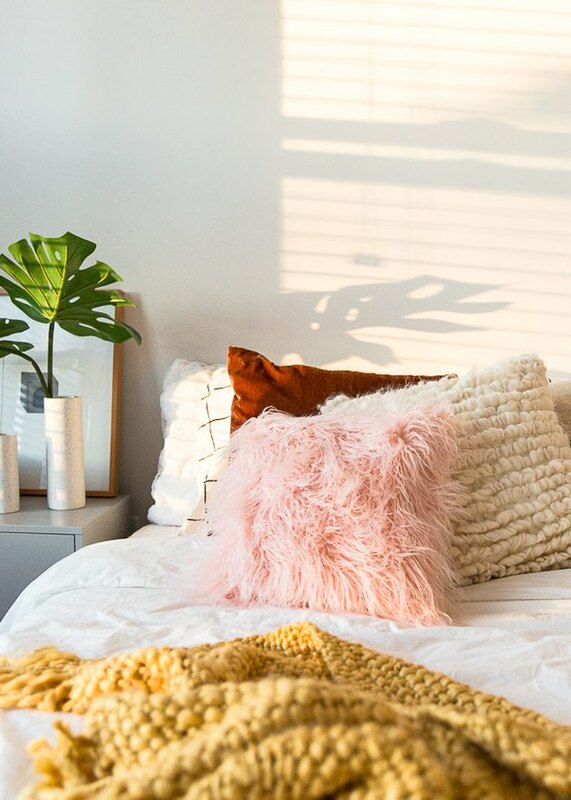 Warning: You'll never want to leave your bed again. 7. Up the mood lighting. Shorter days and longer nights means extra illumination is a must. Set the mood with string lights. Instant ambiance. Pressing leaves and flowers like this beauty created by Foraged is a great method for preserving colorful foliage. 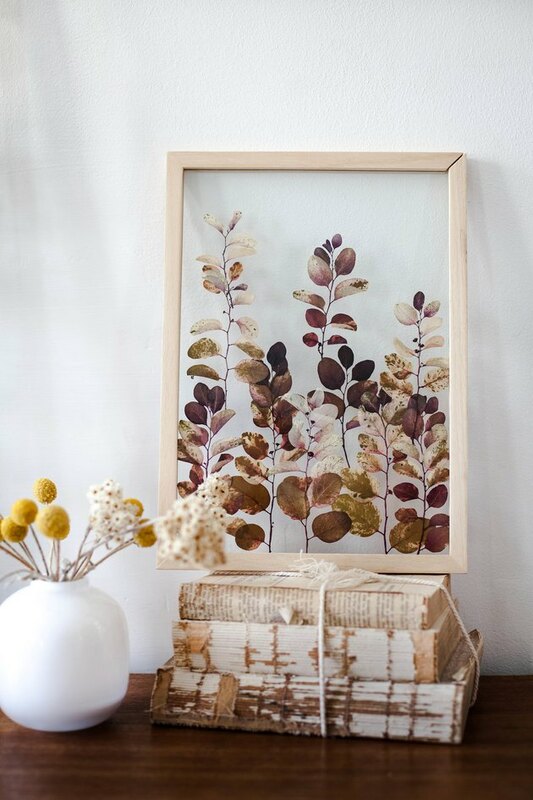 It also yields lovely art that will bring fall flair to your space for years to come. 9. Bring in fall florals. Take a cue from this Stockholm apartment by creating a festive arrangement with seasonal blooms and leaves. Display in your favorite vase or a pitcher to add your own personal touch. 10. Warm up the fabrics. As the weather cools down, rich textiles are a wonderful way to introduce warmth and texture. Look for sumptuous fabrics like velvet, cashmere, wool, fleece, and chenille. You can also throw in some embroidery to enhance the sensorial experience like Lauren from Bless'er House did in her bedroom. 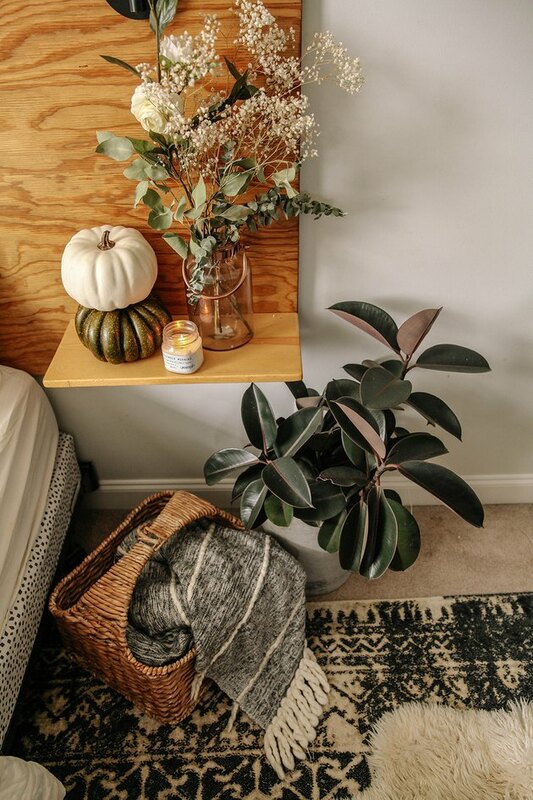 Anna from In Honor of Design selected a few autumnal accessories for her bedroom to add a festive touch without breaking the bank. Just be sure to edit. The last thing you want is to end up with a display that's kitschy or tacky. 12. Pile on the layers. Chilly fall evenings call for a super snuggly setup. 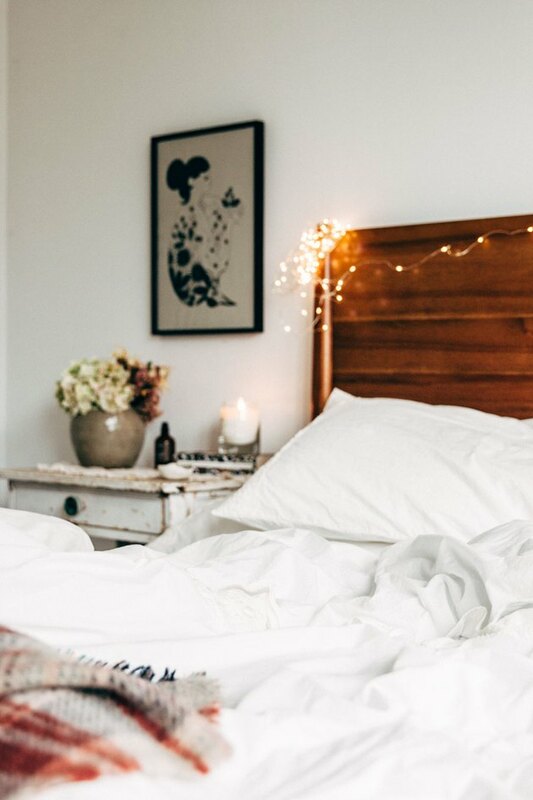 Layer soft sheets, a flannel blanket, white quilt, and a knit throw à la Liz from Love Grows Wild for a bed that will keep you toasty no matter how low the temperature drops.